You are at:Home»The Allotment»Life & Community»Guns and Gardening (Yes, Bear with Me). Guns and Gardening (Yes, Bear with Me). This week guns are in the news again after the awful school shooting in Parkland, Florida. As a father watching the tragic scenes unfolding on the news, I cannot begin to imagine how awful it must feel to be a parent of a victim. As gardeners we cherish life, indeed we create it, nurture it and thrive on it. It is difficult to comprehend a culture that seems to prioritise weapons over life itself. American teenagers are using social media to try and create a movement for US gun law change and I sincerely wish them well. 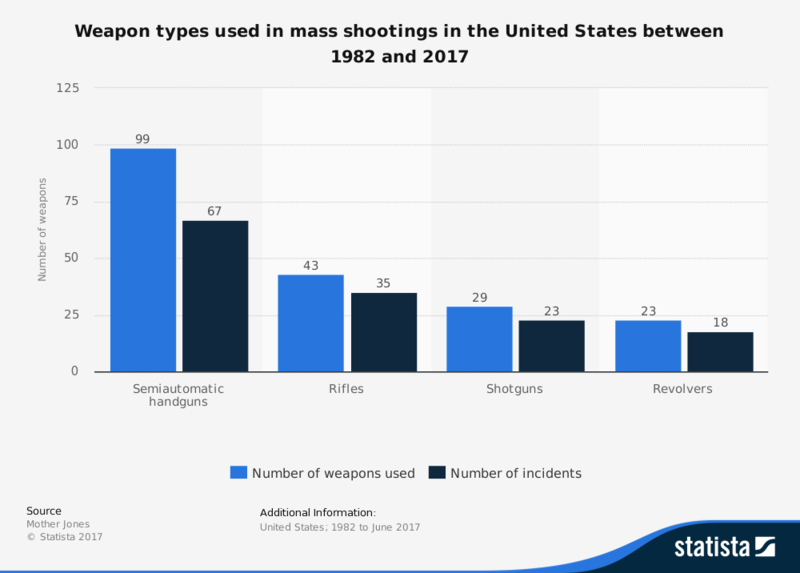 In the UK as a whole we struggle to understand why, after each of the all too frequent mass shootings in the US, there is even a need to have a gun debate. To everybody outside of the United States it seems blindingly obvious that easy access to guns is the problem, so just ban them. Banning guns worked here didn’t it? The last British mass school shooting was in Dunblane in 1996. It also worked in Australia and countless other countries around the globe. However, we are not Americans and consequently we have an entirely different mindset – same language yes, same beliefs no. 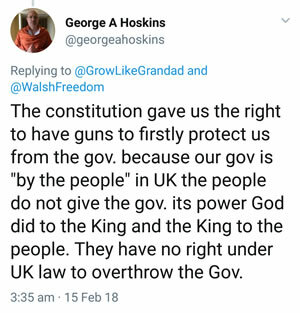 Having studied US politics at A-Level I know a little bit more about the US constitution than your average British person. I’ve also had American colleagues for at least 20 years. Furthermore I’ve worked with a couple of clients in the US outdoor and hunting web publishing sector which has given me some experience of the gun owning community. I’ve been to Shot Show in Las Vegas (the largest annual gun show in the world), I’ve even fired an AR-15 and a couple of automatic rifles on a firing range over there. At the firing range I was asked “How did it feel to fire the gun?” – I asked “Did I hit the target?” – “Who cares, how did it FEEL?” came the response. It felt damn terrifying to be honest, not at all enjoyable. I was very curious but felt very much like Louis Theroux filming a documentary in a slightly unnerving and unfamiliar culture. Very nice people though, nice people who happen to love guns. How does gardening come into this? 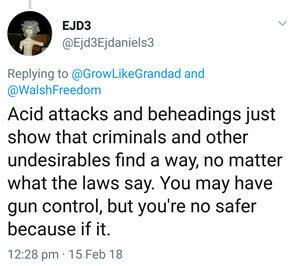 Yes I know it’s a ludicrous parallel, clearly guns AREN’T lawn mowers, both ARE dangerous in the wrong hands but guns are ultimately designed to quickly and easily KILL something. 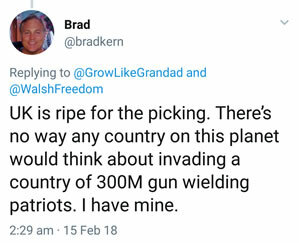 However, if you as a British gardener can get a tiny taste of that passion for a hobby then you can understand a little of the anger felt by gun owners in the US each time gun control is discussed following a massacre. 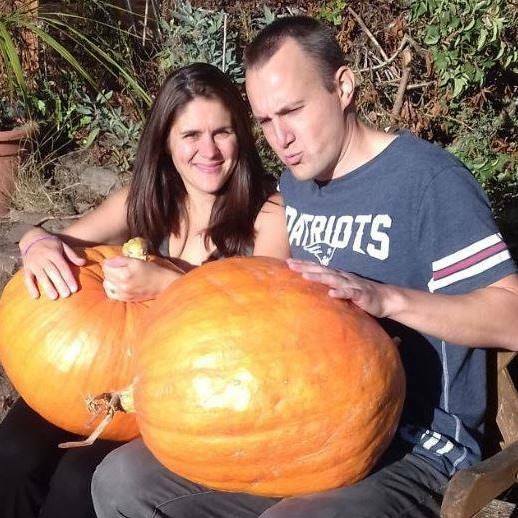 The vast majority of gun owners are responsible and enjoy hunting and shooting on a weekend in much the same way that we enjoy allotments and gardening (which is ironic given we create life and they often end it). Culturally you might not understand their choice of hobby in the same way they don’t understand your liking for shovelling manure at the allotment or earthing up potatoes. 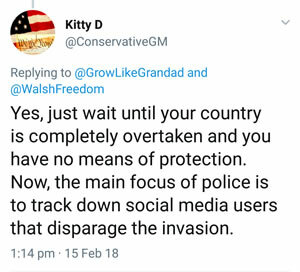 When written it had only been 13 years since the United States declared independence from Britain, it was a young nation and there was a major fear of future invasion from a foreign power. There was a fear of all government (even their own). There was a fear of native Americans. There was a fear of slave revolts. There was a fear of bears. There was a fear of their fellow neighbours. Yes there was a fear of pretty much everything and that fear still exists today. 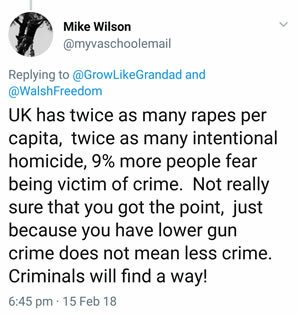 Just read some of the twitter responses (below) that I received when I pointed out on twitter that the UK gun ban was going pretty well for keeping down the school massacre numbers. Other than deflecting from the school shooting debate do you see anything familiar? Fear of foreigners, fear of neighbours, fear of strangers, fear of government. These are all the same fears that have been in US culture for over 200 years and they are not going to disappear. We’re talking about as many as 10 generations of Americans who have been taught to be afraid and own a gun just in case. 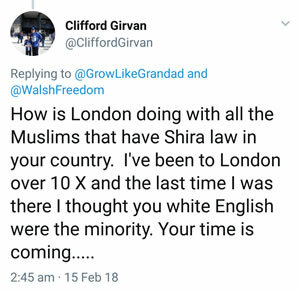 We don’t have this fear in Britain, on the whole we embrace those new to our shores, we don’t fear our government enough to want weapons and despite countless invasions throughout history I don’t think anybody is laying awake worrying about such an eventuality. Americans would think us foolhardy, we would think ourselves normal. Sadly the traditional fears of US gun owners (combined with the hunting enthusiasts’ strength of passion) are greater than the fear of losing school children to mass shootings. 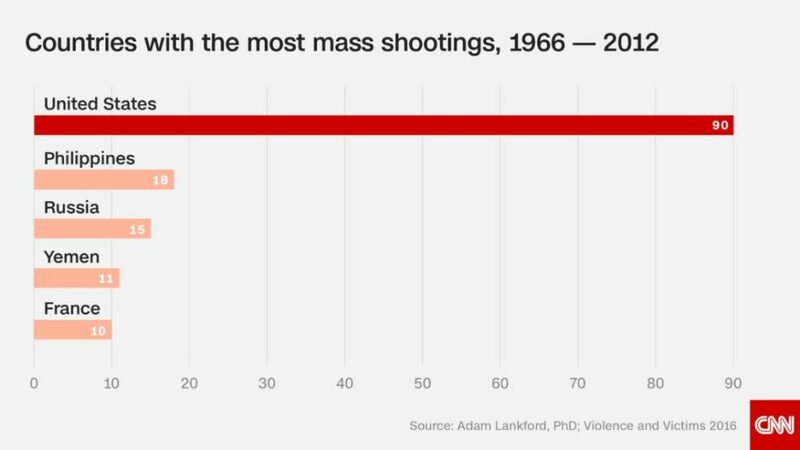 40% of Americans are so terrified each day that they feel they need to own a gun. They simple cannot imagine life continuing without one. What can you do to change the mindset of a people so terrified of the world that they’d rather let school children get slaughtered each week than give up guns? Honestly nothing – guns are just too ingrained in US life. I’d love to be proved wrong, does anybody in the US really need a semi-automatic AR-15 for protection? These weapons are lethal and banning them would be a good starting point. But really all we can do each time the horrors of a mass shooting are broadcast onto our screens is accept them as a necessary part of America’s cultural history of guns and fear. In the UK it’s really out of our hands and none of our business. It’s best to just turn off the TV and take yourself outside. Do some digging, sow some seeds and try to focus on what you can do to support and encourage life and beauty to thrive in your part of the world. I come here for gardening stories, not politcal opinion. One reader lost. That’s disappointing but I’ll get over it.